It's not often that we get to post a deal at Bed, Bath, and Beyond, but I guess this one fits in the "beyond" section. If you look up the Alexa-infused Echo and Tap on the Amazon site, you'll see the same old prices. You can save some cash by heading over to Best Buy or Bed, Bath, and Beyond to pick up these devices. Both models are $50 off right now. 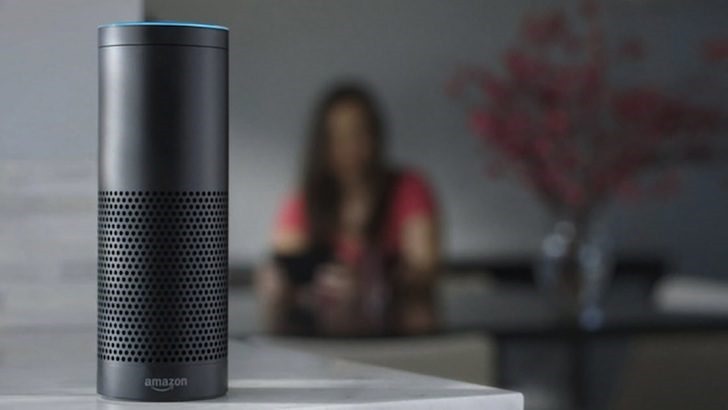 Amazon Echo is designed to be a home automation platform—it was the first device to show off what Amazon's Alexa assistant could do. 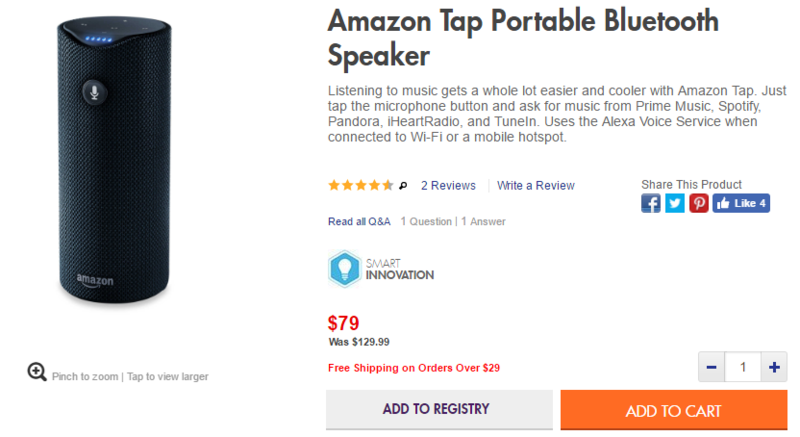 It's larger and needs to be plugged in, whereas the Tap is designed to be portable. It's basically a Bluetooth speaker plus Alexa. Both devices feature "omni-directional" sound and can stream music from services like Spotify and Pandora. With the sale, the Echo will cost you $129.99 and the Tap is $79.99. Both Best Buy and Bed, Bath, and Beyond offer free shipping on orders. 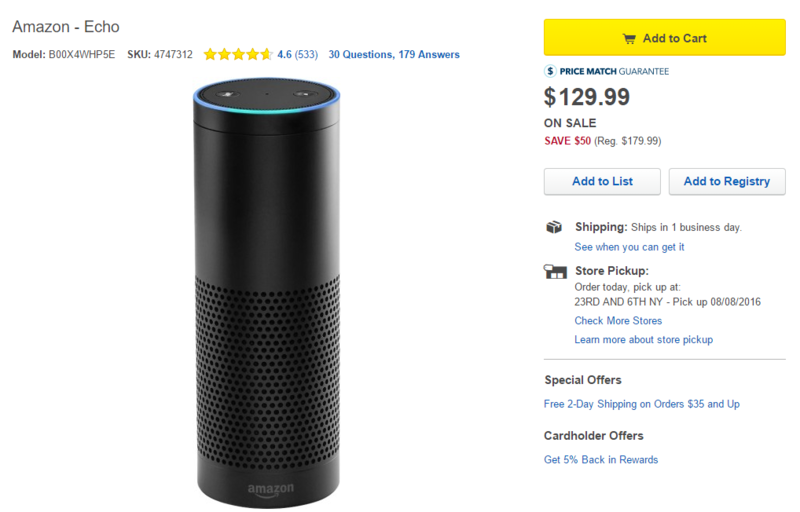 Additionally, Best Buy has the Tap and Echo in stock in most stores.